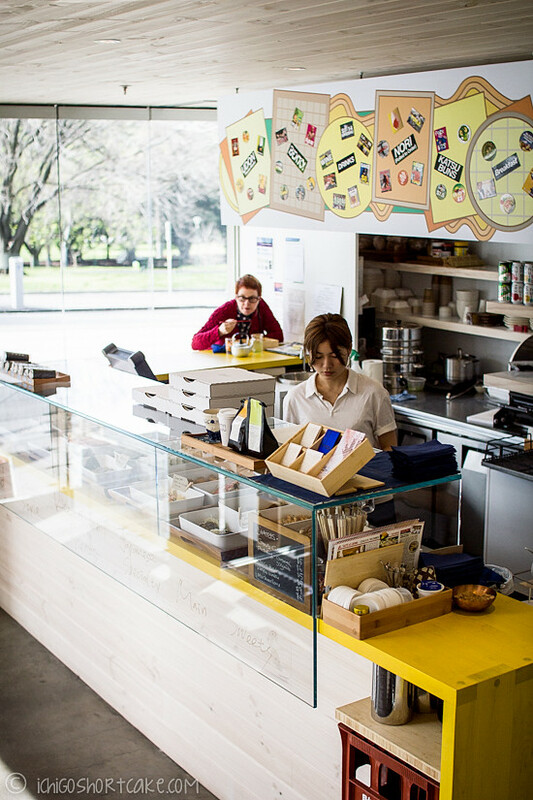 Nama Nama is a Japanese cafe that has recently opened along Spring St just overlooking Treasury and Fitzroy Gardens. Being a sibling to the popular Izakaya Den together with Hihou, a Japanese bar just above it, I expected great and wonderful things during our meal to which it delivered. Nama Nama is only open for breakfast and lunch, closing at 5pm everyday and not open on Sundays so it caters to the general working bunch in that area and any enthusiastic foodies like myself. Although not a large cafe by any means, it did have several areas to which diners can enjoy their meal. There was the front of the house which has fantastic views on a sunny day and the upper section where we sat. From there we gawked at all the food being prepared by the chefs through the little window to the kitchen. You can even sit inside the alcohol room! Or it was what I assumed was the alcohol room since the room was made from glass and showcased many varieties of sakes and beers. 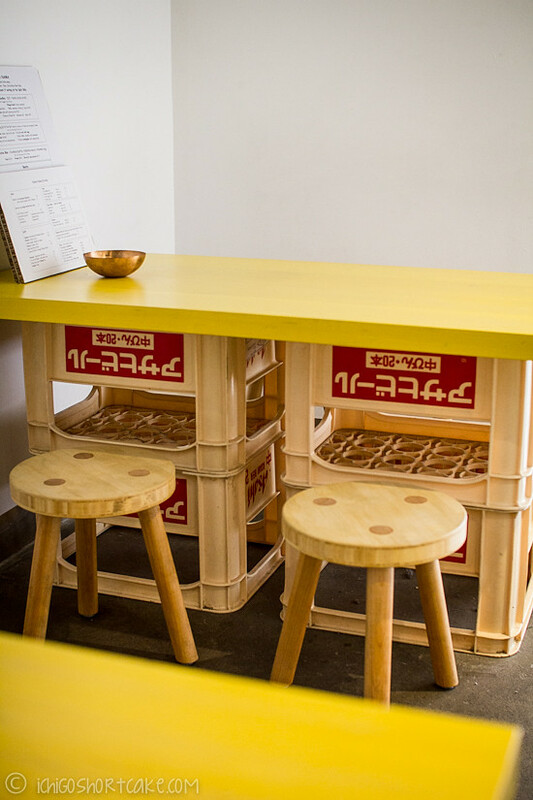 The decor is fun and vibrant, reminding me of izakayas in Japan where colourful plastic crates are used as tables and chairs, giving the feel of fast, cheap meals for the working class. 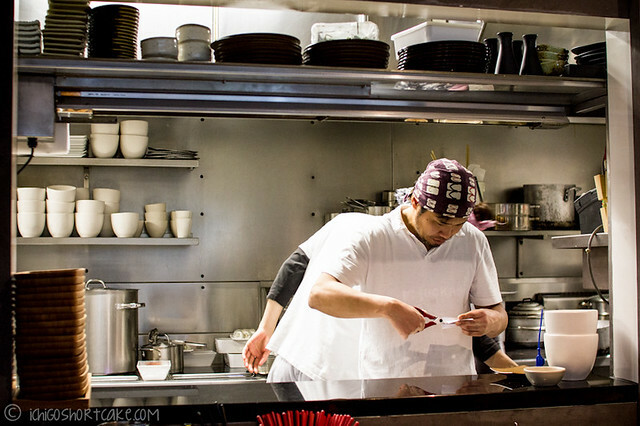 As it’s a sibling to Izakaya Den, it was no surprise that the glasses and utensils are the same. 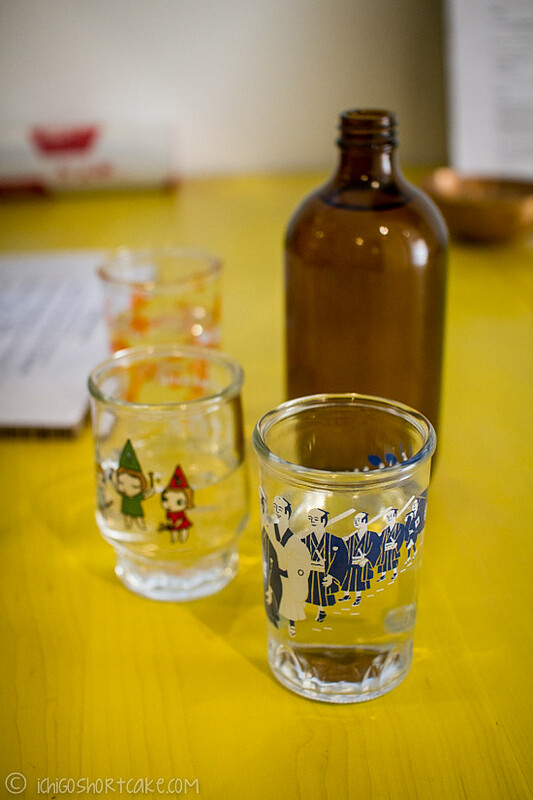 I’ve always loved these cute glasses and wished I could take some home with me every time. 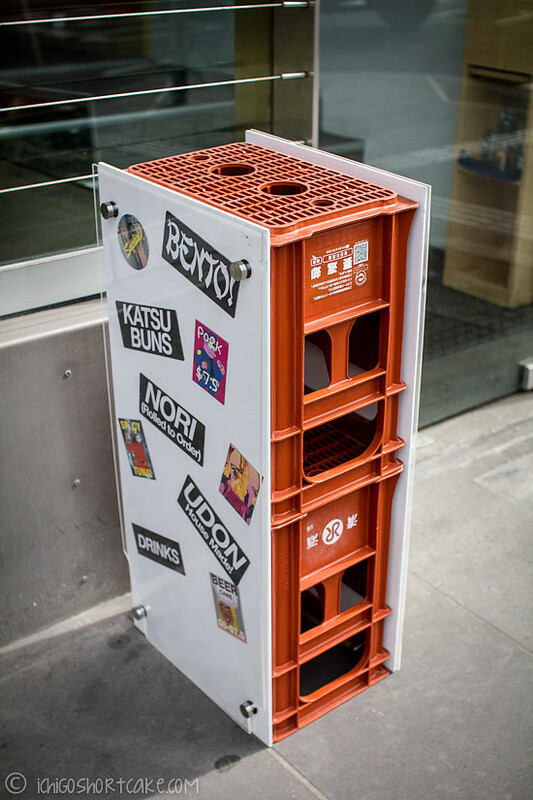 There’s a few options on the menu, probably the most popular one is the bento box. 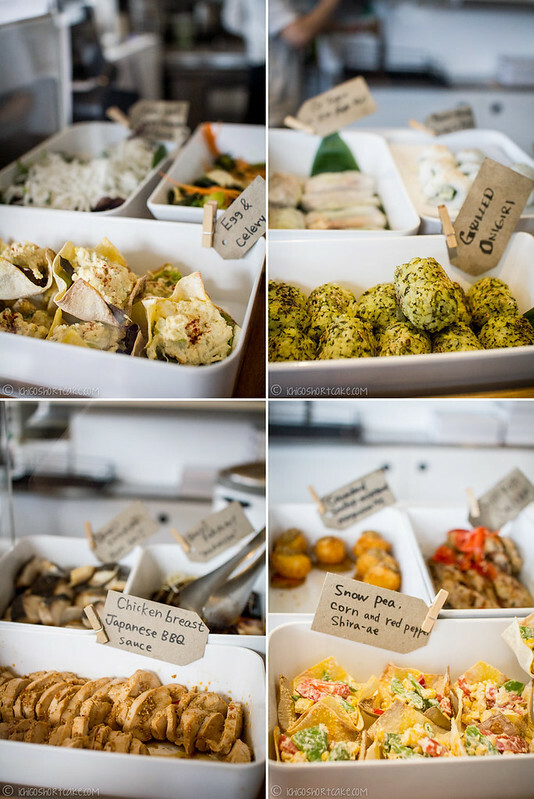 All foods from the bento box are prepared beforehand and heated up if necessary. You can see all the elements of the box in the glass counter at the front as you enter. This is both good and bad. I generally don’t like pre-cooked foods because it loses flavour and texture as they sit there, drying up under the constant gazes of the passing diners. It is also fast and fast is always welcomed during a busy weekday lunch time. Both my fellow companions ordered bento boxes which I didn’t get to try, but I must say, they did look quite appetising, even though the food was pre-cooked. For $18 eat in (or $16 take away) you get a choice of 5 things, 1 from each category (salad, Rice’n’Roll friends, Raw style, Japanese specialty and Main) with $2 extra for miso soup. 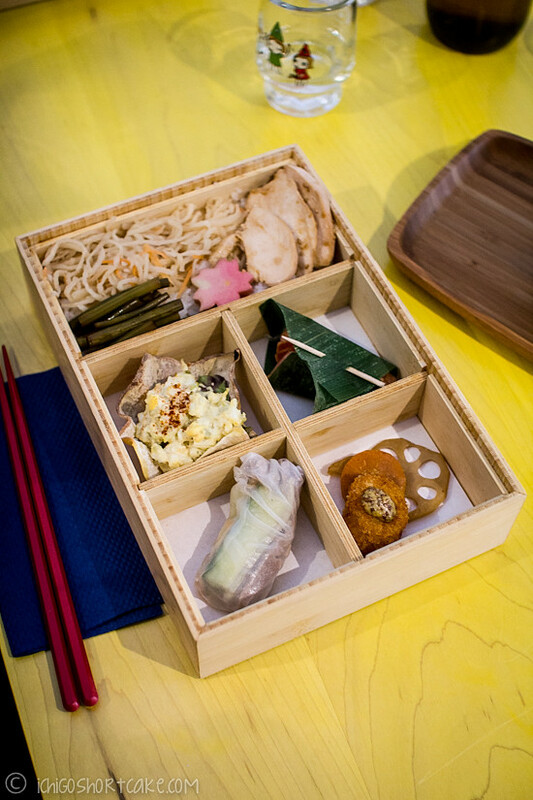 If you’re too lazy to pick, you can also opt for the ‘surprise’ bento which is pre-packed and ready to surprise! I ended up ordering the pork house made udon noodles for $15 which is eat in only. The dish came with beautifully cooked pork belly, spinach and a soft boiled quail egg. I also had the choice of wagyu beef, tempura, tofu or plain ($10) but pork always jumps out at me. Although not the most tender pork I’ve had in such a dish, it had ample flavour to keep me lip-smackingly satisfied. The egg was cooked to perfection even though it was so tiny! I love gooey yolk eggs in my noodles and this was so perfect, although I could have done with an extra egg or 2. The soup was without doubt a total hit with both my friends agreeing at how tasty it was. Udon in my opinion, goes the best with shoyu (soy based) soup. Do I even need to mention the noodles? I’m a huge fan of handmade noodles as they always taste bouncier and nicer than packaged ones. Nama Nama did a fantastic job at making these beautiful noodles, something I would go back to time and time again. Three girls surely can’t end a meal without ordering dessert! Thankfully Nama Nama has a few delicious sounding options for our perusal. 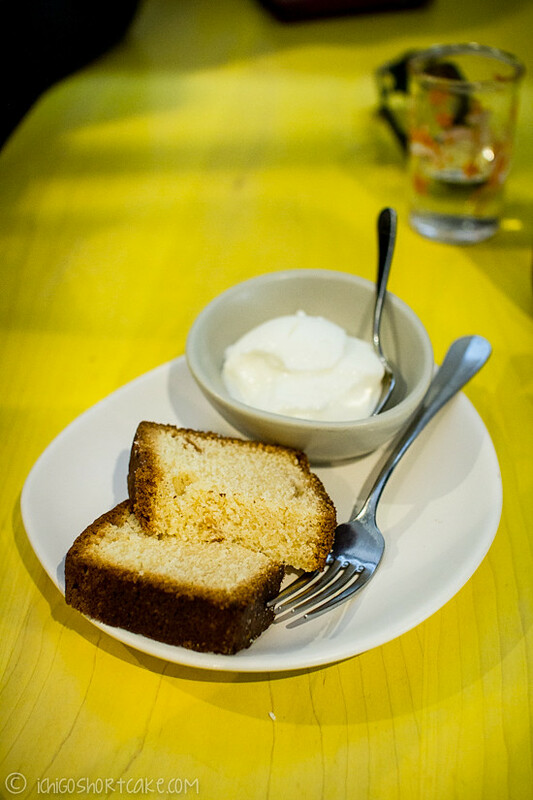 It wasn’t a surprise that we unanimously agreed on the first option – the yuzu tea cake with Meredith sheep’s milk yoghurt ($5 without/$8 with yoghurt). Yuzu, for those of you who don’t know, is an East Asian citrus fruit similar to that of mandarins or oranges but has a distinct sour and fragrant taste/smell. 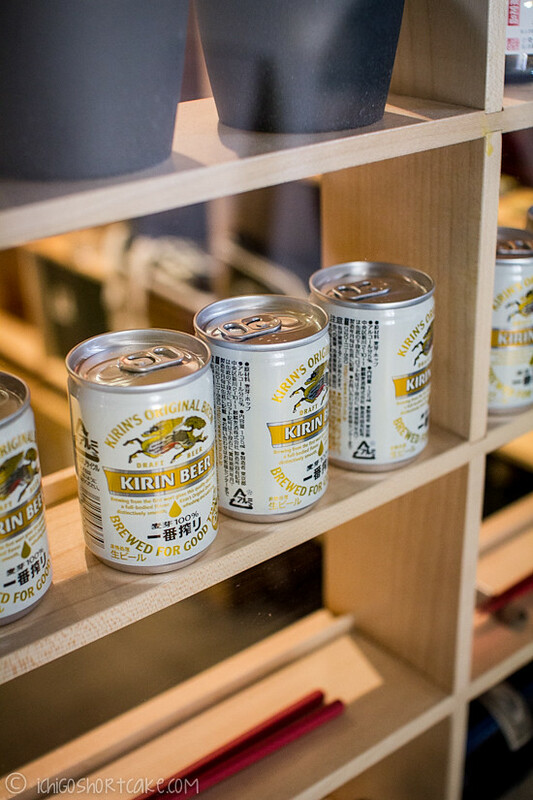 The Japanese people love this flavour and I’ve had it in sake, sweets and even lip balms when I visited Japan. You can sometimes purchase yuzu juice (albeit at a high cost) from Japanese grocery stores. The cake was not all that big, I could have eaten the whole thing myself since it was so delicious! Slightly moist and crumbling, it was a perfect combination with the yoghurt which was a little sour. I would highly recommend ordering it with the yoghurt though as it really added to the flavour and made it less dry. I might not be as taken with the bento box items but just the handmade udon itself is enough to bring me back to Nama Nama time and time again. 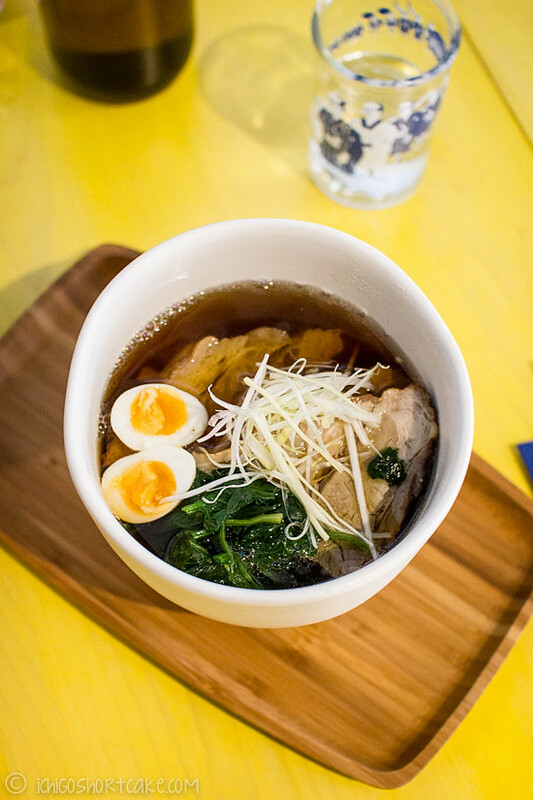 I loved the deep flavours of the soup and the bouncy noodles and the yuzu tea cake was delicious. Although the service was average, the prices are quite acceptable. As they close at 5pm every day, next time I visit, I will go later in the day and then head upstairs to Hihou for drinks and nibbles afterwards. That udon bowl looks delicious! I SO wish my lunch looked like this!! I really need to make my way down here! Love the yellow of those counters! 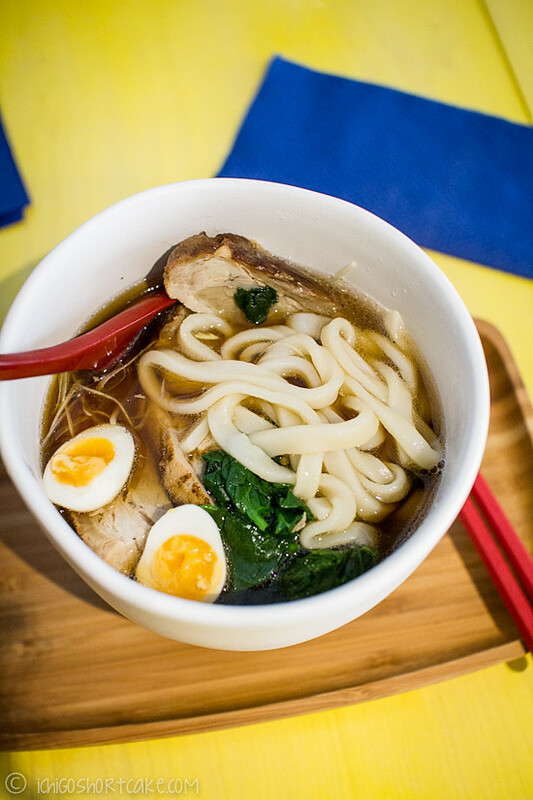 The udon looks terrific – but anything with a hard-boiled egg looks nice. Fun post – thanks. Nama is ok but nothing original or really interesting……go see Kappaya or Purple peanuts japanese cafe. Got a feeling Nama Nama has copied quite a few ideas from these 2 cafes.